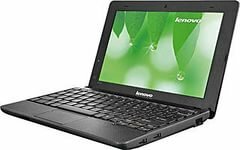 Lenovo IdeaPad N580А is an interesting laptop model average. Its main advantages in comparison with competitors, this is a great performance and low price. Though the design of the laptop is fairly simplistic, but the performance at altitude. And all thanks to installed it dual core processor, Intel Pentium B960, with a frequency of 2.2 GHz, discrete graphics nVidia GeForce 610M and 4 GB system memory plus hard drive, 500 GB. This configuration will be enough not only for office work, but for home entertainment. In General a universal model for a wide range of applications.